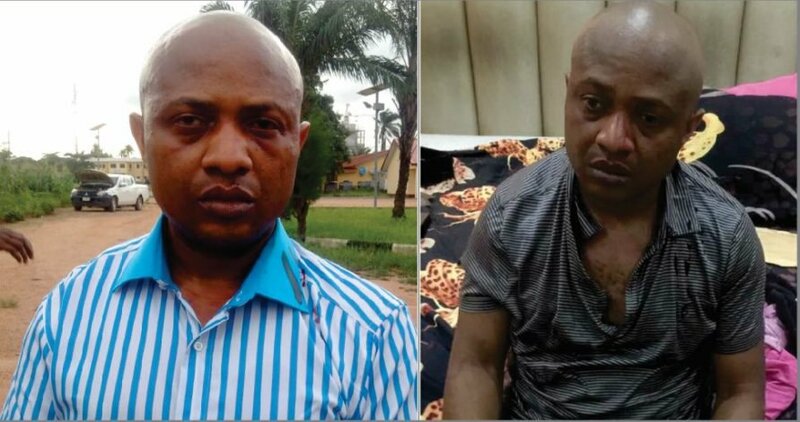 Notorious Nigerian kidnapper, Evans has continued to sing like a bird while in police custody as investigations begin into his criminal activities. The kidnap kingpin, Chukwudubem Onwuamadike, a.k.a Evans, who was arrested last Saturday by operatives of Inspector General of Police Special Intelligence Response Team, IRT, for coordinating several high-profile kidnappings, armed robbery and murder within Lagos, Edo, Abia, Enugu and Anambra States, yesterday, revealed that his father’s decision to disown him was the reason he took to crime. Evans, who received millions of dollars as ransom from his victims, during his reign as an ingenious kidnapper in the country, told Vanguard exclusively that he was forced to drop out of school while in Junior Secondary School Class 2, when his father, Steven Onwuamadike, drove his mother, Chinwe, away and got married to another woman. He spoke as human rights lawyer and critic, Mr Femi Falana, SAN, yesterday, called on the Inspector- General of police, Ibrahim Idris, to ensure that the notorious kidnap kingpin is well-protected in police custody for him and his accomplices to face justice squarely. Commending the Police for a good job, towards ensuring that crime, especially kidnapping is eradicated in the country, Falana urged the Force to ensure the arrest of other accomplices, investigate them deeply and arraign them for prosecution. In a statement, Falana said: “The Nigeria Police Force deserves commendation for the recent arrest of a notorious kidnap kingpin, Chukwudi Onwuamadike, a.k.a ‘Evans.’ Since he is alleged to have named his accomplices, they should all be arrested by the Police without any delay. ”All the members of the criminal syndicate should be charged to court for trial. The Inspector-General of Police, Mr. Ibrahim Idris, should ensure that the kingpin is adequately protected in custody. “This is one suspect that should not be shot dead while trying to escape from custody. If Evans is killed in custody, his evidence will be destroyed to the detriment of the society as his accomplices will continue their nefarious business of kidnapping and killing innocent members of the public,” he stated. Evans in his disclosure, yesterday, explained that his father, who is a businessman asked him to join another business man, a spare parts dealer, also in Nnewi, who he served for five years without settlement because the man later accused him of stealing. This development, according to him, embarrassed his father so much that he drove him out of his house. Evans who is a native of Akamili, Umudim Quarters, Nnewi, Anambra State, stated that his father’s action affected him deeply and he was forced to move into his mother’s house. He said his mother accepted him and she also raised money for him which he used in travelling to Lagos. While in Lagos, Evans disclosed that he started selling diesel to luxury buses and truck drivers at Alafia Bus-stop along Lagos-Badagry Expressway. He explained that, while he was selling diesel, he slept in a bus garage and that was where he joined a robbery gang. Vanguard gathered that Evans’ first robbery gang specialized in attacking luxury buses plying the East – West Road, at night. 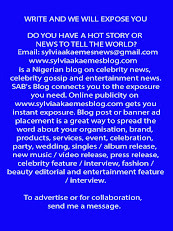 Police sources explained that Evans was involved in several highway robberies from which he raised enough money with which he travelled to South Africa. On his return, according to sources, he veered into full time kidnapping with Lagos as his base. He used to pose as a spare parts dealer from South Africa with proceeds of his crime. Reports also alleged that he participated in some operations with another notorious killer, Vampire, who was later killed by the Police after plotting his escape from Owerri court in Imo State, while on trial. Investigations revealed that Evans later linked up with another notorious kidnapper called Henry Hunchman in Anambra State and they coordinated several kidnappings. They were later chased out of Anambra State and they fled to Edo State. Evans told Vanguard during a chat that he teamed up with one of his friends, Ehis, in Edo state and they started kidnapping. He disclosed that Ehis introduced him to some of his friends known as Benin Papa, Odionose, Okey and Igbo Papa and they coordinated several kidnappings. Vanguard investigation also revealed further that Evans’ activities became so troubling that the then Inspector -General of Police, Mohammed Abubakar, deployed one of his key operatives, Patrick Ejedawe, who was the Commander of Mopol 2 Squadron Command, Lagos, to Edo State, to track him and his members down. It was learned that Ejedawe, now an Assistant Commissioner of Police, mopped up all members of the gang except Evans, Hunch-man and Sudo, who fled to Ghana. Sources disclosed that betrayals in the gang aided the police in mopping up the gang members, leading to the death of members like Benin Papa, Odionosa, Okey, Igbo Papa and many others who were killed by the Police in gun battles. A source further disclosed that Evans, Hunch-man and Sudo eventually came back to Nigeria and were based in Lagos, when Ejedawe was redeployed from Edo State by a new Inspector-General of Police.